When it’s cold outside, a soak in a hot spring is blissful. Our ski adventures have often included a “tap water” hot tub for apres ski. 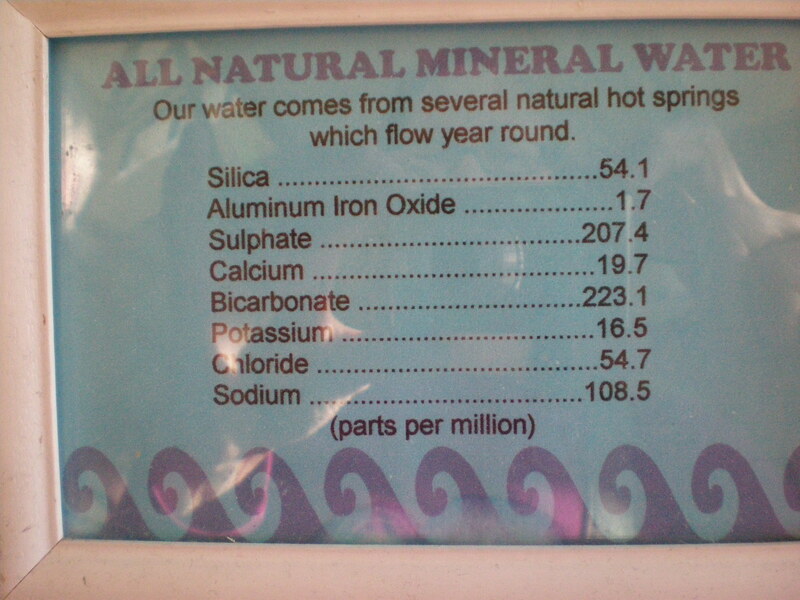 Colorado, as our cousin Huntly reminded us, has many beautiful, natural hot springs. 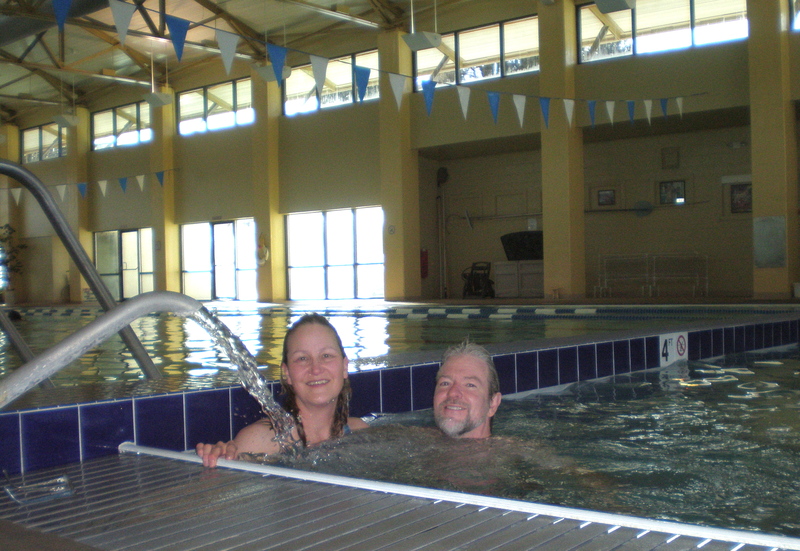 Since the 19th century, Coloradans have piped the spring waters into recreational pools. 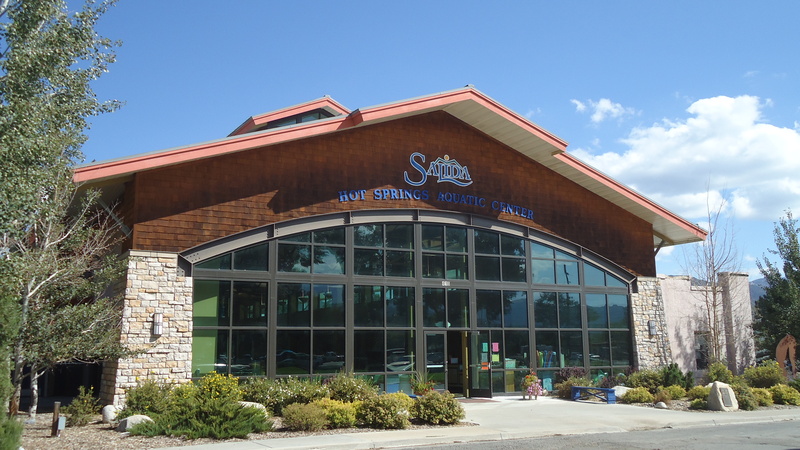 Located in the town of Salida, in the Arkansas River Valley, just a few miles from our RV park, is the Salida Pool. Unlike the pools back home, the Salida pool is fed through 7 miles of pipe from springs high on Poncha Pass. The water is clear and hot and oh so good for your body. Native Americans enjoyed the hot springs long before this facility was built in 1937, during the Great Depression. Numerous updates over the years have resulted in these spring-fed pools. 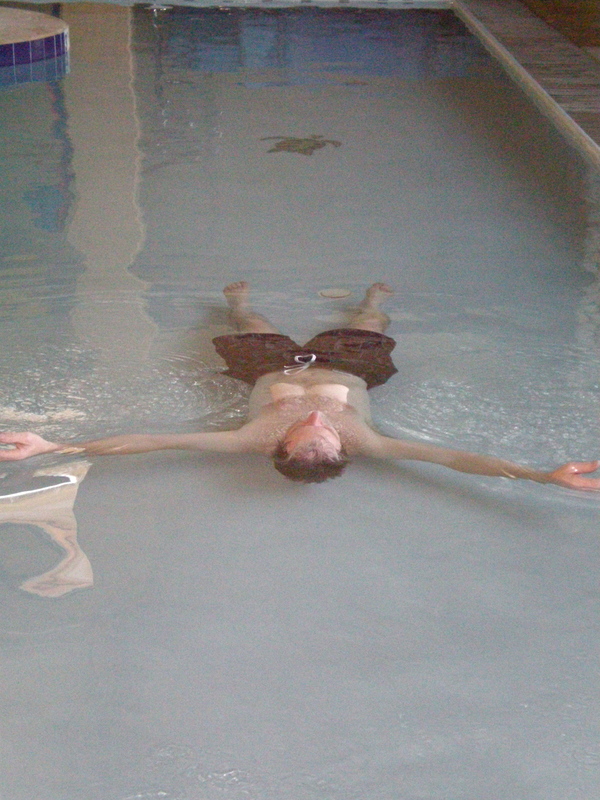 The exercise pool is 90 degrees F. The soaking pool is around 102 degrees. 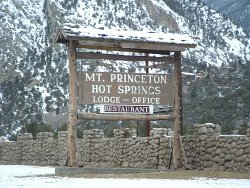 A week or so after our Salida pool experience, we used a coupon that came with the Monarch Pass to try out Mt Princeton Hot Springs, a few miles down the valley at the base of, where else, Mt Princeton. Our campground is temporarily without hot water for showers. A 20-year-old hot water heater failed. Since every pool facility also has hot showers, off we went to sample more of the local waters. Mt Princeton is part of the Collegiate Peaks of the Sawatch Range in the Colorado Rockies. Mounts Harvard, Yale, Columbia and Princeton are “fourteeners”; peaks above 14,000 ft tall. And they are breathtakingly beautiful, one and all! 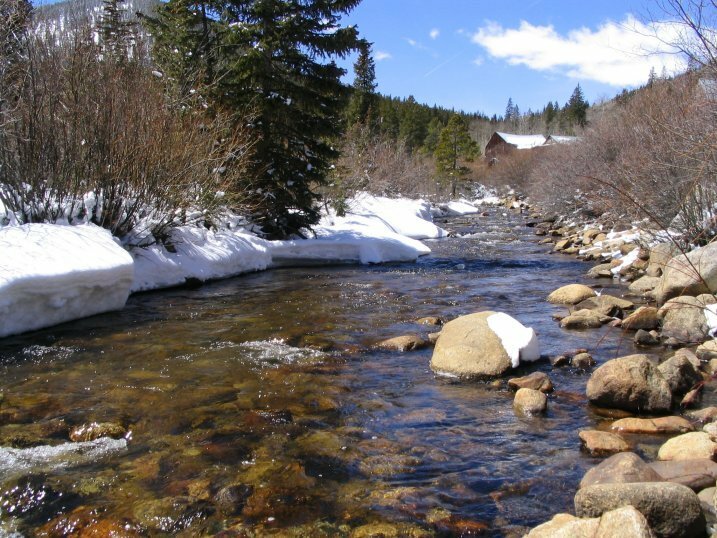 The source water for the Mt Princeton pools is Chalk Creek, originating up on the Continental Divide. Numerous hot springs pour into the creek. Some are diverted for the exercise and soaking pools. The exercise pool, 90 degrees, in the background. The soaking pool, 100 degrees, in the foreground. 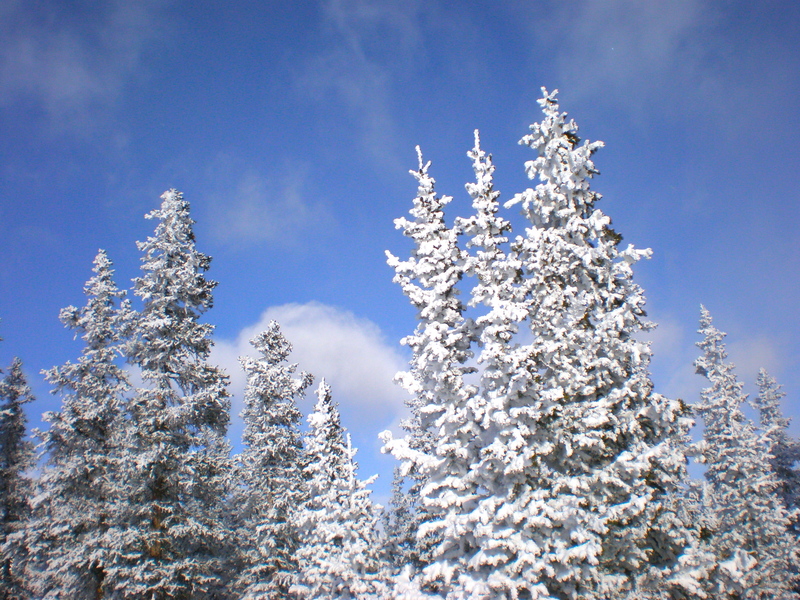 Image from the Mt Princeton website. 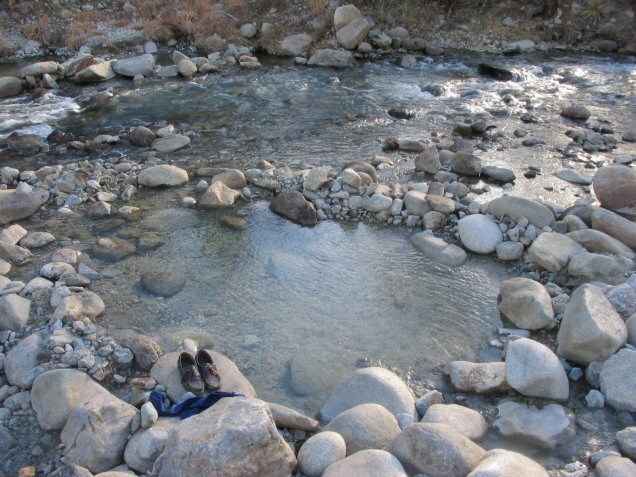 Many other natural hot springs feed right into the cold creek. If you scramble down a short, rocky embankment, you can also bathe in the warm pools along the sides of the creek. Chalk Creek pools, seen in the daytime, in a photo from the Mt Princeton springs site. We were there at night. We were told to feel free to rearrange the rocks for just the right mix of cold creek and hot spring. As we lay in the hot water in the cold night, we used our new knowledge from the Davis Observatory (here’s a link to that experience) to identify stars and planets. Wow. 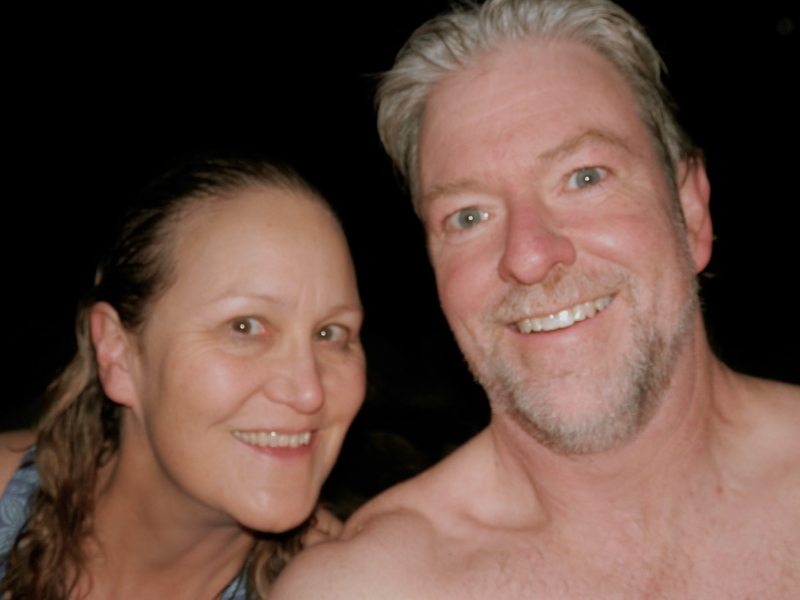 A soak in nature’s hot tub under the starry, moonlit sky was just the balm we needed after many days of skiing! P.S. – Don’t worry, Huntly! 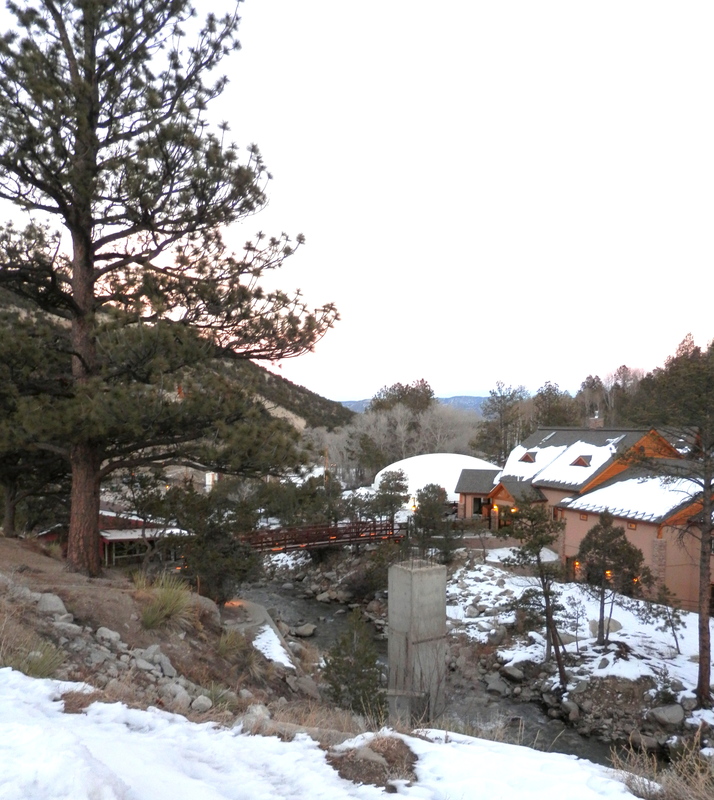 Soon we are going to try Valley View Hot Springs, an even more “natural” hot spring. After that, we may graduate to an “off-the-grid” spring that we’ll have to hike to.